We aren't really supposed to use words like "genius" any more to talk about artists. "Genius" is one of those holdovers of Romanticism, a word, John Berger wrote, that was meant to "mystify rather than clarify." The MacArthur Foundation grants are often called "genius grants," but as Cecelia Conrad, vice-president of Macarthur Fellows Program, wrote, "The foundation does not use the name 'genius' grant; the news media coined that nickname in 1981, when we announced our first class of fellows." Nonetheless, the name "genius grant" and all it implies has stuck with the MacArthur Fellows Program. The new class of MacArthur Fellows was announced this morning. 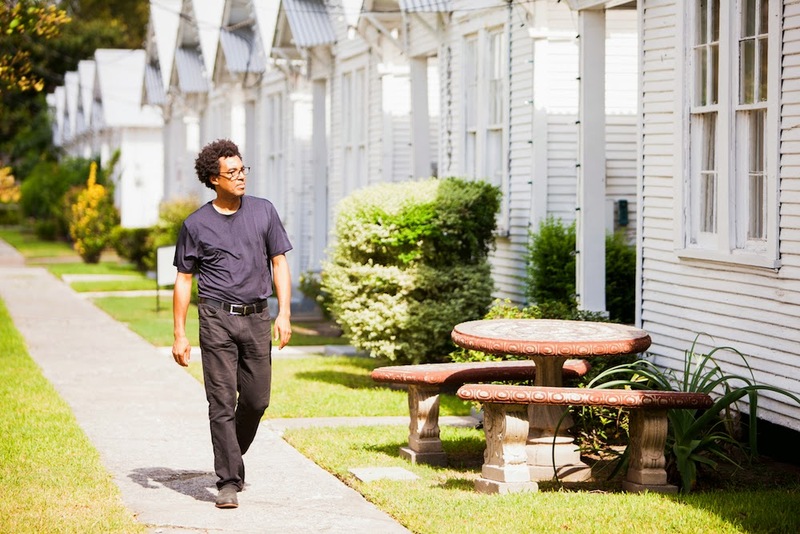 I was was moved to learn that Rick Lowe, co-founder and guiding light of Project Row Houses, is part of the class of 2014. Project Row Houses is one of the best things about Houston. A combination of community organization and revolving set of artists installations, PRH remains an unique institution on the Houston scene. (The only other thing locally that combines art and community action on anywhere near the scale of PRH is the Phoenix Commotion up in Huntsville.) And Lowe has taken this model and incubated similar initiatives in other cities. The email from Project Row Houses announcing Lowe's MacArthur grant came at two minutes after midnight. I'm guessing the news was embargoed until then. I went to the MacArthur Foundation webpage and was astonished and pleased that another artist I love had been selected--Alison Bechdel. 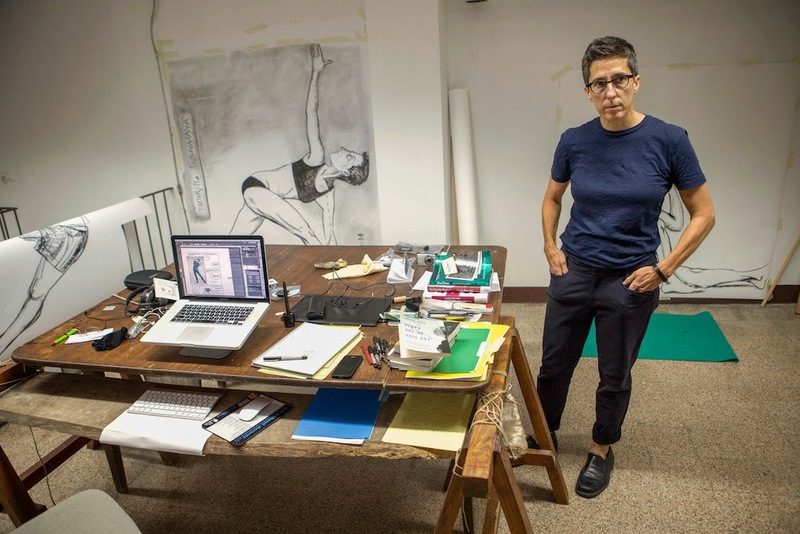 Alison Bechdel is a cartoonist who came to prominence with her comic strip Dykes to Watch Out For. That comic was mainly known within the LGBTQ community--she burst out into wider awareness through her two searing comics memoirs Fun Home: A Family Tragicomic and Are You My Mother? : A Comic Drama. I've loved her work since I first read her DTWOF collections. As I sit here typing this, I can look at the wall opposite me and see a piece of Alison Bechdel art--one of her DTWOF strips entitled "Boy Trouble." The Fellowship is accompanied with a grant for each recipient of $625,000, doled out over five years. It means that for a few years, at least, Lowe and Bechdel won't have to worry too much about money. The purpose is not to reward them for past work, but to create a space for them to continue working--continuing work already started or initiating new projects. Being a MacArthur Fellow means, above all, time to work. 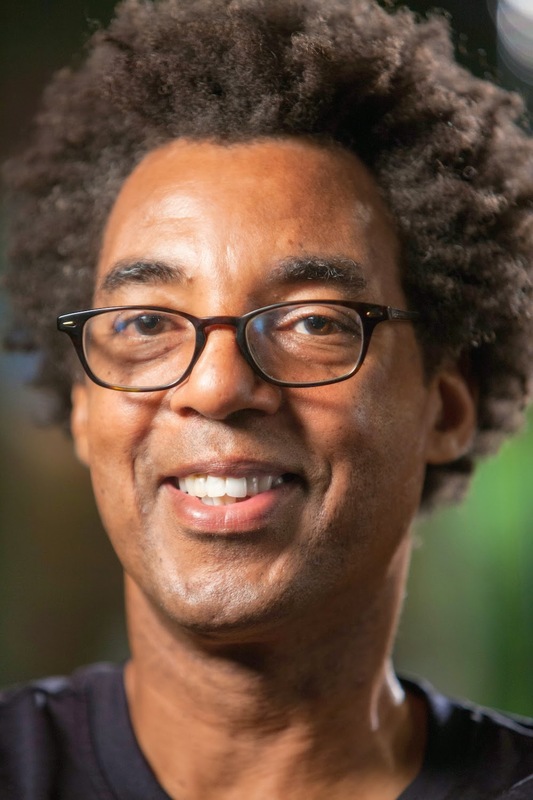 Rick Lowe is 53. Alison Bechdel is 54. I'm 51 and I feel like a child next to them. Maybe that's what they mean by "genius."